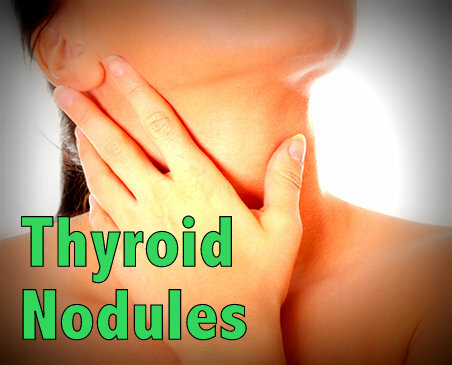 Have you ever had thyroid nodules? 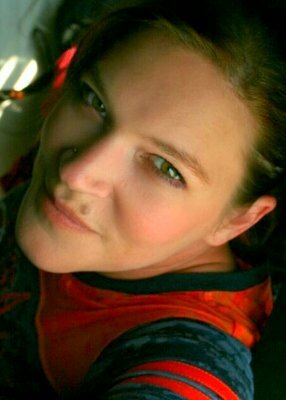 Read the real life testimony of thyroid and Hashimoto’s patient Cheryl and how she single-handedly removed her nodules with iodine and selenium…even though she has Hashimoto’s disease! My first thyroid ultrasound came during July of 2011 as I was fighting for proper thyroid care. The new doctor I had just recently hired had decided that my thyroid looked “spongy.” I knew that an ultrasound was a step up on the ladder that would eventually lead to a diagnosis and therefore treatment. Within three days after the ultrasound study, my doctor called me and stated she was referring me to an endocrinologist. Multiple nodules covered my thyroid and several were going to need a biopsy. It would be much later before I found out how many nodules I had and exactly what shape my thyroid was in. To say that those words, nodules and biopsy, scared me would be an understatement. Never the less, I did what so many of us do when confronted with a health issue. I hit the Internet. First, I looked up the words “Thyroid nodules.” What exactly did that mean? Was it a nice way of saying I had cancer? Thyroid nodules, according to Mayo Clinic, are “solid or fluid-filled lumps that form within your thyroid.” The article went on to state that most are benign (over 95%) and not serious. That was not enough of a definition. I wanted, needed, and felt I deserved more information. The next site, The American Thyroid Association page, said virtually the same thing, only adding that it was an abnormal growth of thyroid cells on the thyroid gland. I kept perusing the internet, reading anything and everything I could find on thyroid nodules including the size at which a nodule becomes clinically significant (1cm and over) and needs a biopsy. I also found that not all nodules are solid abnormal growths but that some are the result of tissue breakdown. Those are the fluid-filled cysts and can occur due to Hashimoto’s. The biopsy, and was I going to die? What I learned was that Fine Needle Aspiration is the preferred method to biopsy a clinically significant thyroid nodule, and the doctor usually performs it right in the office. The endocrinologist inserts a hollow needle into the “lump” and extracts a sample of cells for analysis. It is a safe and relatively painless procedure. The biopsy went flawlessly, as they always do, and my results came back: The lumps, numbering 21, (with only two being significant), were classified as being hyperplastic (adnomatoid) nodules. Being benign, they mostly contained follicular cells, Hurthle cells, and some foamy macrophages. When I asked about treating my thyroid, the nodules, and medication, I got the usual answer. “We aren’t doing anything. We are going to watch and wait.” I left that endocrinologist’s office with a sense of defeat. I was for sure I was going to die and no one in the world was going to help me. The fighter in me did not stay down for long. I was not going to “watch and wait.” “Not this girl,” I thought. It was obvious to me that my thyroid was floundering and needed help! By the time I got home from the follow up visit, about an hour and half away, I once again hit the World Wide Web to educate myself on the pathology findings. The next phase of my journey for true thyroid care began. In the days immediately following my biopsy results, my primary care physician finally agreed to test my Free T3, Free T4, and both antibodies tests. When the results of those tests came back, they clearly proved my suspicions. My thyroid was down for the count. It was then that my doctor agreed to medication and Armour natural desiccated thyroid was my choice. She started me off small with one 60 mg pill a day. But, I did not stop there. I had nodules that the field of medicine had completely disregarded. I started reading on how to treat an under medicated thyroid. I read about what nutrients and supplements the thyroid had to have for proper functioning. I started digging into benign tumors and how to treat them as well. I, then, packaged that information into a regimen of supplements made easy by online ordering. My regimen to begin with consisted of Armour and selenium. I started the selenium first because I understood that it was critical to the thyroid. So vital, in fact, that the body will take selenium from the brain for thyroid use. It was determined from the lab/biopsy results that I had Hashimoto’s and I had heard that people with Hashi’s should not take iodine. Through my research, though, I began to understand that those with Hashi’s could take iodine but do need the selenium to protect the delicate thyroid. So, I started my selenium (400 micrograms a day). I began taking it a full two weeks before my iodine. I did not want to have a Hashi’s flare from taking iodine and knew the selenium would need a while to build up completely in my system. I had visited several sites regarding the use of iodine to cure cancers and tumors. I had joined the Iodine Yahoo group and absorbed Stephanie Bust’s information. I visited Breast Cancer Choices.org and found a ton of helpful information there as well. I educated myself on the many uses of iodine and the vital role it plays in the human body. I learned that as important as selenium was to the thyroid, iodine was just as important. It is the main ingredient in all thyroid hormones. I was cautious with the iodine. I worked on building up a tolerance. I started with one drop of J.Crow’s Lugol’s 2% iodine solution a day for one week. I then “upped” the dose to 2 drops (6mg) a day for a week. And so on and so forth until I exhibited “hyper” symptoms at which time I dropped back down to the next lower dose. My body was set at 33 milligrams of iodine a day. I was going to heal my thyroid or die trying. What happened next has left many, including my physician, declaring a miracle. Three months after the initial ultrasound, my doctor ordered a repeat. The results left her scratching her head and claiming divine intervention. In three months, I had lost 14 smaller clinically insignificant nodules. Fourteen nodules on my thyroid just disappeared. When I asked her, “How does that happen?” her response was “I don’t know – God.” I smirked but I knew it was the iodine and selenium I had religiously been taking. As an experiment, and to confirm to myself what I already knew, I did come off the iodine and selenium, for a while, to see what would transpire. I told no one what I was doing, as I wanted to see it for myself, without influence or interference. For four months, I took no iodine or selenium- only the Armour. The following ultrasound showed a new nodule. That was proof enough for me. I went back on the iodine and selenium and continued to take my Armour, which, my doctor had upped to 2.5 grains a day. Now, three years later, I am nearly “lump” free. I no longer have any clinically significant nodules. In fact, I only have three nodules and the ultrasound reports shows that they are shrinking as well. However, that is not all. For the first time since my fight for thyroid care began, my thyroid itself is no longer swollen and is in “acceptable normal limits,” meaning it is a “normal” size. While I know my thyroid will need consistent life-long care, as I do have Hashimoto’s, I no longer feel like I am a slave to my supplements or that my thyroid is more of a burden than a blessing. The fight for my thyroid, as long and as arduous as it has been, has been worth it. The “the Siamese sisters of the thyroid,” what I now call selenium and iodine, have given me my thyroid, and consequently, my life back. The ultrasounds alone prove it. Here’s good information about iodine. Have Hashimoto’s? Here’s what patients have learned!